What do we know so far from the Spain attacks? Here are some of the facts. Barcelona: 14 dead, more than 100 injured. Van driver is still at large. 3 people now arrested. Cambrils: 5 attackers wearing suicide belts killed. 6 civilians and 1 policy officer were injured. The two attacks were linked. 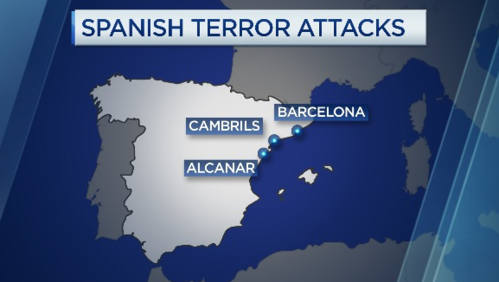 At this moment, counter-terror forces in Spain are investigating attacks in Barcelona and further south in Cambrils. In Barcelona, a manhunt has been under way for the driver of the van that killed 14 people and injured over 100, many seriously, when it crashed into pedestrians on Las Ramblas. The driver of the van sped through approximately 500 meters of a wide walkway in one of the busiest tourist destinations in the city. Police have now arrested three men. It is unclear if the driver, last seen escaping on foot, is one of the three. In Cambrils, attackers ran police over in a car, before being shot dead by officers. Police say it was related to the earlier attack in Barcelona and that the five attackers wore explosive belts. These belts have now been confirmed as fake. The so-called Islamic State has claimed responsibility for the attack. In Spain there appears to have been further attacks in the works. Police in Alcanar say an explosion in a home there happened as people were making bombs. One person died and 6 more were injured in the blast. Police say the explosive workshop outside of Barcelona was connected to the attacks elsewhere in Spain. Terror in Spain. Police kill five terrorists wearing suicide belts in the coastal town of Cambrils, in a shoot-out linked to the attack in Barcelona. Security forces hunt the van driver who killed 13 and injured more than 100 people on the tourist avenue Las Ramblas, in the latest in a string of deadly vehicle attacks in Europe. The Dow suffers its biggest one-day fall in three months in a flight to safety following the terrorist attack, and investor fears that President Trump's Virgina comments could cause Wall Street-friendly economic advisor Gary Cohn to quit. Alibaba beats expectations with a 56 percent jump in first quarter revenue, thanks to strong online sales. China's e-commerce giant also snapping up another South-East Asian asset. There appear to have been further attacks in the works. Police in Alcanar say an explosion in a home there happened at a site where people were making bombs. 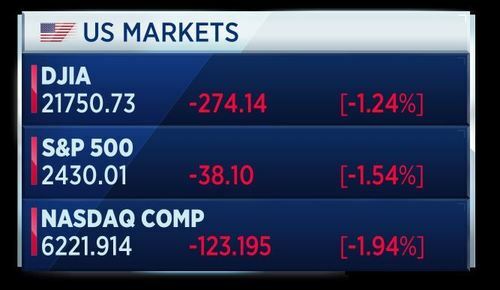 Wall Street stocks slumped overnight, with the S&P 500 posting its biggest drop in three months. Concerns have risen over President Trump's ability to deliver on economic goals such as tax cuts and infrastructure spending. 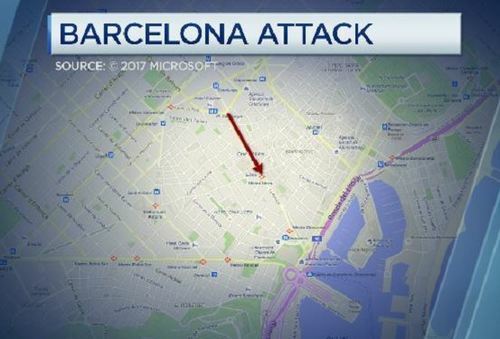 NBC's Richard Engel has the latest from the Barcelona terror attack. President Trump has stoked further controversy following the violence in Charlottesville, saying on Twitter that it was "Sad to see the history and culture of our great country being ripped apart". His comments come as a statue of General Robert E. Lee in North Carolina was defaced. His comments echo those of white nationalists who have protested the removal of Confederate statues. White House plans to create an infrastructure advisory council have been abandoned. The announcement came after two CEO advisory groups were dismantled following President Trump's comments on the Virginia violence. Under pressure as CEOs dropped out and voted to disband, the President tweeted that the councils were ending. Following the CEO's abandoning President Trump, there are investor concerns that advisor Gary Cohn could be next to leave. The Goldman alum is seen as moderate voice, friendly to business interests and an advocate for tax reform. Reports that Cohn may leave weighed on stocks, though the White House later pushed back against talk he would leave. Cohn at a press conference in April. Gap shares rose more than 5 percent in after-hours trading as the retailer beat second quarter earnings forecasts and lifted its full year profit expectations. Its Old Navy brand was once again a bright spot, and the company was also helped by better inventory management and fewer discounts. Here's how the shares have performed over the past 3 months. 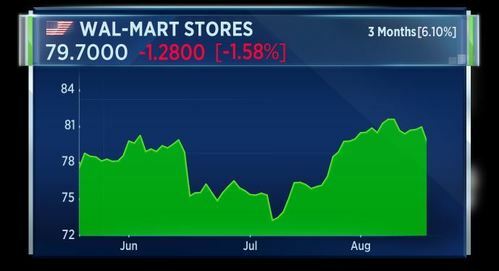 Meanwhile, Wal-Mart shares came under pressure after the world's largest retailer posted disappointing second-quarter results. The group saw a rise in sales, boosted by strong online and groceries demand. But spending rose as well, hitting margins. Wal-Mart has upped investments to drive online sales and improve stores, in an effort to compete with Amazon. 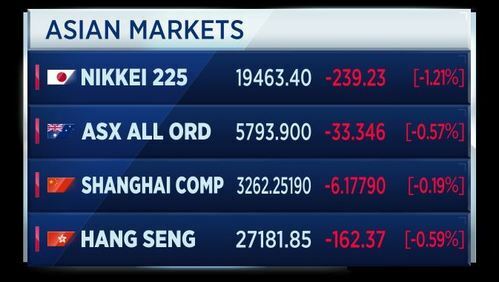 A negative session for Asian markets. The Nikkei is down more than one percent due to a stronger currency. Market sentiment was shaken by the attack on crowds in Barcelona. World leaders have also offered their condolences to the Spanish people in the wake of the terror attack in Barcelona. 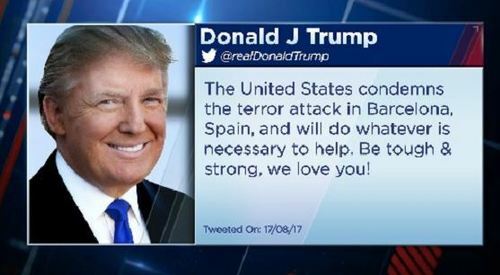 President Donald Trump tweeted his condemnation of the terror attack, saying the United States was ready to do "whatever is necessary to help. Be tough & strong, we love you!" 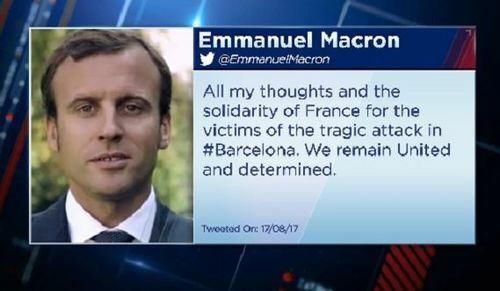 French President Emmanuel Macron tweeted that his thoughts and prayers were with the victims, and that France remained in "solidarity" with Barcelona in the wake of the attack. Prime Minister Theresa May said she was sickened by the loss of life, and that Britain stood with Spain against the "evil of terrorism". Spanish security forces are hunting the van driver who killed 13 and injured more than 100 people in Barcelona yesterday. 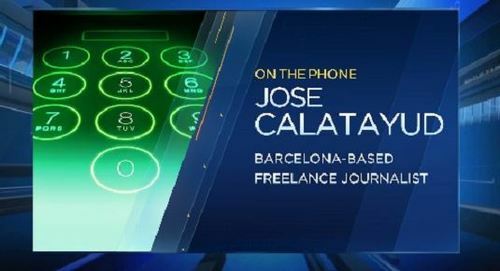 Jose Calatayud, a freelance journalist based in Barcelona, says it is much quieter in the area where the attack took place. The drive of the van who rammed into people is still at large. The police cordoned off a big area last night to try and find him. This is the first terror incident in Spain since 2004. Jose says Spain has felt safe and many tourists coming to the country felt safe. He says people are now feeling less safe. 26 French citizens were injured in the Barcelona van attack. Of these, 11 are in serious condition, according to a statement from the French foreign ministry. The French foreign affairs minister Jean-Yves Le Drian says he will visit Barcelona on Friday. Vopak posted a drop first half operating profit and warned that EBITDA would likely see a 5-to-10 percent fall for the full year. The Dutch oil and chemical storage company said results in its home country were below expectations while the company performed better than expected in the Americas. Chinese group Guangzhou Automobile says it has no plans to buy Fiat Chrysler. Shares in Fiat Chrysler soared earlier in the week after a trade publication reported that the carmaker had rejected an offer from an unnamed Chinese rival. Various Chinese companies have since denied being interested in Fiat. Germany's producer prices index for July rises 0.2 percent month on month and 2.3 percent year on year. That compares with June's unchanged prices month on month and 2.4 percent year on year. The July reading beats Reuters forecast of 0.1 percent increase month on month and 2.2 percent year on year. Commenting on the attacks in Spain, John Wood, director at Control Risks, says the country has traditionally been less of a target for Islamic extremism than other Western countries, but has long been exposed to North African Islamist networks which are believed to be linked to the 2004 terror attack in Madrid. This type of threat has been increasing in Spain, but precisely those security and intelligence investments that were made after Madrid have helped to disrupt many plots and make arrests over the past few years. 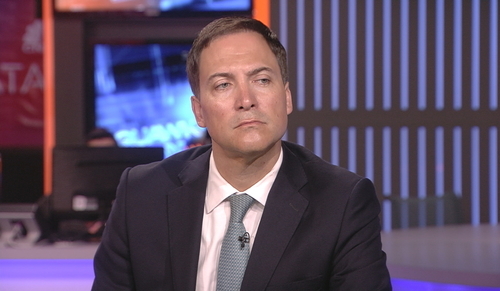 Wood says it is not clear yet whether this was definitely an ISIS attack. He warned that high profile urban locations in European cities remain prominent targets for attacks, and terror threats have become more unpredictable. 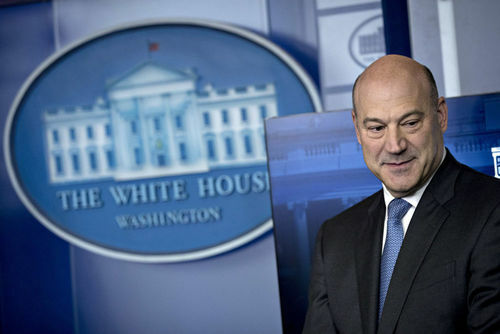 There are investor concerns that advisor Gary Cohn could be next to leave. The Goldman alum is seen as moderate voice, friendly to business interests and an advocate for tax reform. 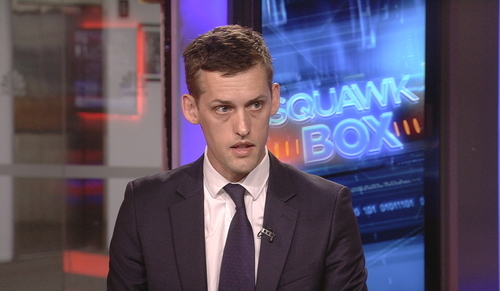 Reports that Cohn may leave weighed on stocks. Jean Medecin, member of investment committee at Carmignac, says the administration hasn’t delivered much, but adds that markets haven’t priced in much of what the administration could actually deliver. I would be tempted to take the opposite stance and say that actually the optionality is on the administration to deliver something in terms of either tax reforms, infrastructure plans, you name it. The French interior minister says there might be as many as 17 French citizens seriously injured from the attack in Barcelona. Interior Minister Gerard Collomb says he does not believe there are French links at this stage to the suspects in the attack. The U.S. envoy to Japan William Hagerty says President Trump and Prime Minister Abe's thinking on North Korea is identical. Speaking in Tokyo, Hagerty says the U.S. wants to work with Japan to calm the rhetoric over North Korea, according to Reuters. Shares of Wienerberger finished more than 10 percent lower, after the Austrian brickmaker warned it expected the U.K.'s residential construction market could shrink in the next few years. This as the company posted a 4 percent rise in second quarter operating profits. Heimo Scheuch, CEO of, Wienerberger, says this was not a warning on the U.K. market, he was highlighting the facts. I just said that obviously there are risks out there. There’s still ongoing Brexit negotiations. 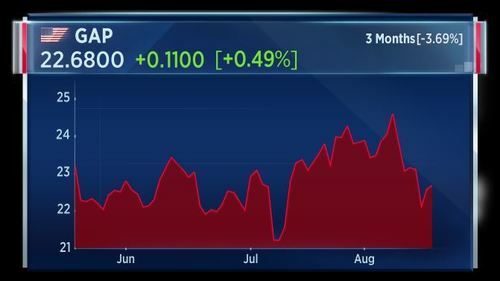 There are instability risks in the U.K.
Heimo says they see good underlying trading this year and the housing market is strong. 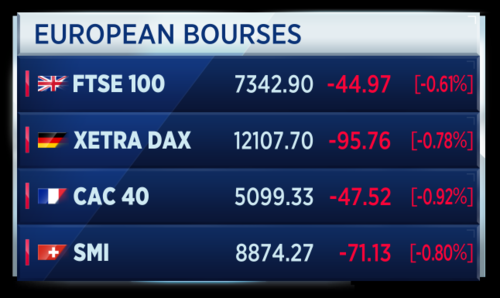 European markets look set to follow Wall Street and Asia lower today. 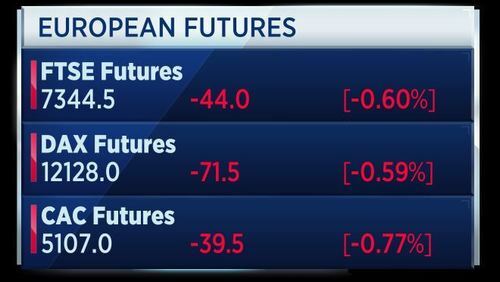 The future values predict a negative open for the major European indexes. Shale gas fracking has resumed in the U.K., six years after it was halted amid concerns that drilling was causing land tremors. Cuadrilla Resources is the company drilling the well and it says shale gas could be ready for sale to the British energy market within months. However, a team of scientists warned earlier this week that fracking may not be economically viable in the UK due to the country's geology. This tweet from the Spanish interior ministry claims a third person has now been arrested in relation to the terror attacks in Spain. Earlier, according to Reuters, police said they had arrested a Moroccan and a man from Spain's north African enclave of Melilla, though neither was believed to be the van driver that drove down Las Ramblas in Barcelona. And some selling in Europe at the open. 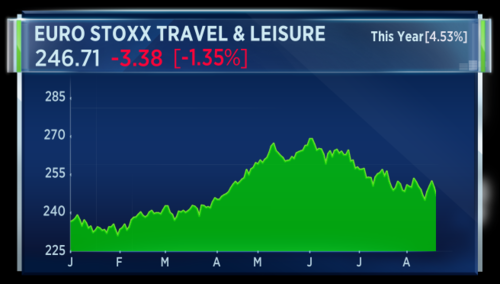 No sectors in positive territory and unsurprisingly Travel & Leisure is particularly struggling after the instances of terror in Spain. 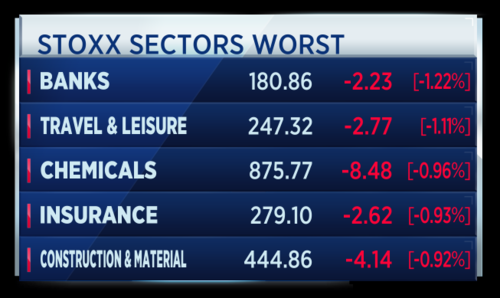 This a table of the worst performing sectors. 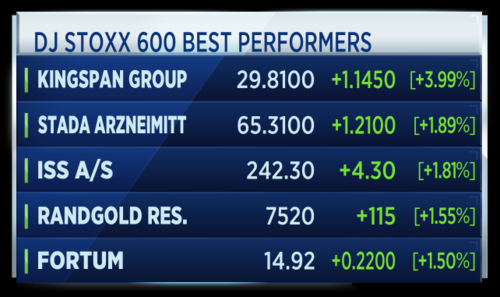 European markets look to be selling across the board. The Spanish IBEX market is unsurprisingly steeply lower after that dual terrorist attack. 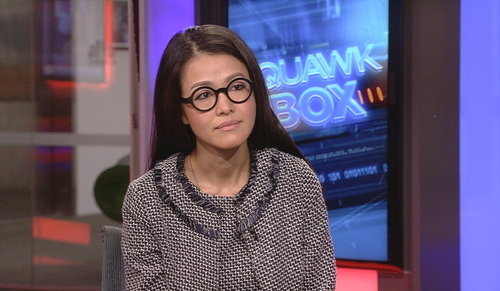 Wei Li, head of investment strategy for iShares EMEA at BlackRock, says it is important to put things into perspective when volatility spikes up. We’re currently still in a broadly low volatility regime where spikes in volatility may have become more frequent but supported by a broadly benign market backdrop. The spikes do not tend to persist. She says investors have been using these sell off moments to add to exposures which they believe are supported by fundamentals. This is a list of the biggest gainers and losers among th etop 600 listed companies in Europe. Vopak's second quarter earnings fell 7 percent. The Dutch oil and chemical storage firm warned that earnings could fall as much as 10 percent this year, as occupancy rates at its tank terminals continue to suffer. Vopak the biggest loser in Europe by percentage terms. 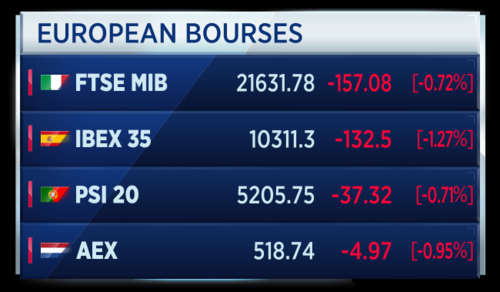 Europe’s travel and leisure sector is the biggest faller in markets this morning in reaction to the attack in Spain. 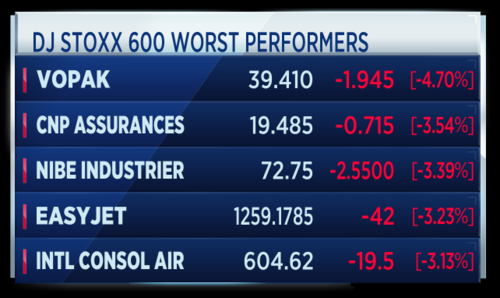 Some airline and hotel stocks are down. 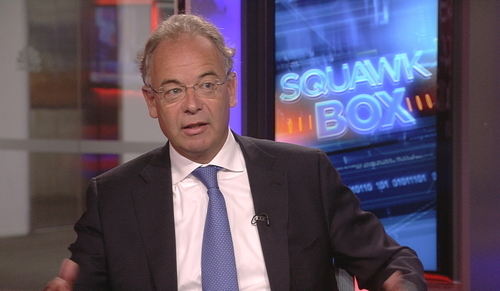 Jean Medecin, member of investment committee at Carmignac, there are two trends at work. One is the underlying trend of the airline industry, which are probably for the first time in many, many decades has been really focused on profitability. Sometimes we do complain as customers of the airline for that, but when you look at the results of the main airlines in Europe or when you look at the results of the airlines in the U.S., it’s very clear you have an element of financial discipline which was not existing 10 years, 20 years, 30 years ago. He says this change is making airlines an investable sector. However, he said there are short-term, risk-related cyclical movements that may be structural. 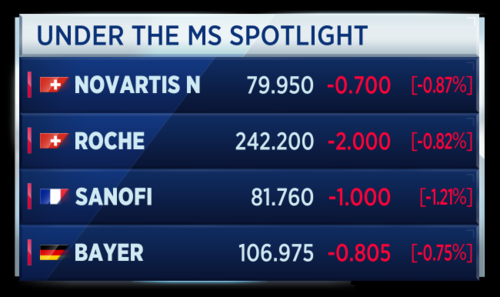 US House Democrats have sent letters to several drug-makers including Novartis, Roche, Sanofi and Bayer as part of an investigation into why Multiple Sclerosis treatments have quadrupled in price since 2004. Lawmakers are attempting to determine whether pharma companies were raising prices to keep up with competitors. The average price of MS therapy hit $78,000 in 2016 compared to $16,000 in 2004. Catalan's regional read says the explosive belts worn by the attackers killed in Cambrils were fake. That's according to Reuters reports. The Travel & Leisure sector is under pressure in reaction to events in Barcelona. Airlines, holiday firms and hotels all constituent parts of this index. Wei Li, head of investment strategy for iShares EMEA at BlackRock, says they have not seen much flows into autos, but they have seen substantial inflows into technology. When we look at valuations we are less concerned about it in an environment where rates are not going up back to historical average. Even some of the mega-caps, because earnings are coming through and also when we think about the discount cash model, if the discount rate is not normalizing to the historical level, why should multiples? 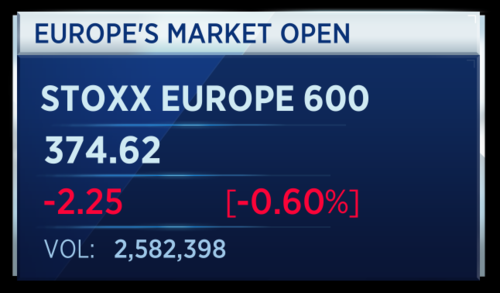 Terror in Spain shakes the markets, as European equities open lower and travel and leisure stocks suffer the worst of the losses. 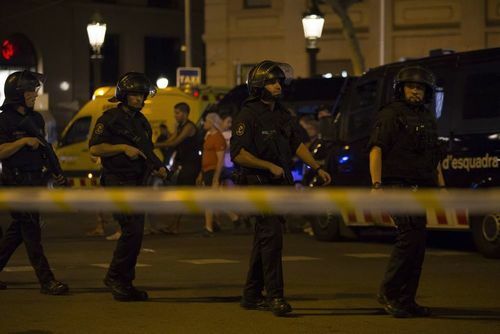 Police kill five terrorists wearing fake suicide belts in the coastal town of Cambrils in a shoot-out connected to an attack in Barcelona. 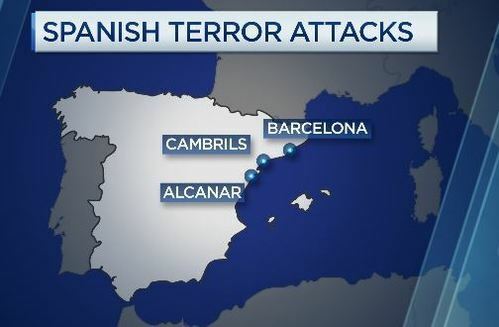 Authorities also make three arrests in connection with the attacks, as security forces continue the hunt for the van driver who killed 13 and injured more than 100 people on the tourist avenue Las Ramblas. Sweden's industrial inventories fell by 3.1 billion krona in Q2 quarter over quarter, according to the country's stats office. Sweden's prosecution authority says it is charging an employee at Bombardier Sweden with a charge of active bribery. 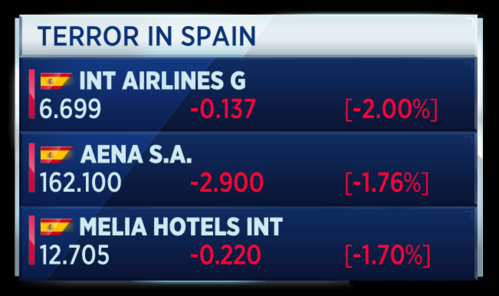 Spanish listed shares IAG, AENA and Melia Hotels are among the biggest fallers among Spanish stocks as investors react to the attack in Barcelona and Cambrils. IAG shares listed in London are also lower by more than 2 percent. All this week we've been talking about the rise of the robots and how artificial intelligence is changing the way we live and the way we do business. Earthmiles is a healthy lifestyle app that is using AI to offer users personalized financial rewards in return for exercise miles. 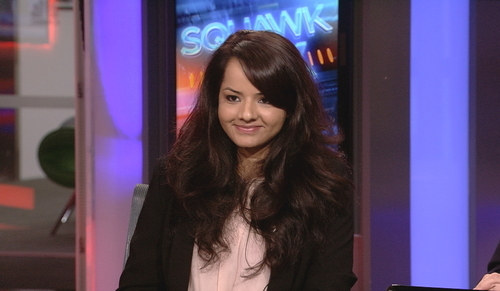 Megha Prakash, co-founder at Earthmiles, says the financial reward is part of a psychological method to help consumers make healthier choices. It actually works on many different levels. For the consumer, yes, it’s a fun feel-good platform where as you work out you earn earthmiles the way you would earn airmiles if you flew and then with that you can earn rewards. She says the app uses AI to learn about the user. Britain is too gloomy over Brexit. That's the view of Alexander Downer, the Australian High Commissioner to the U.K. He'll be joining us on set to discuss Brexit and plenty more besides. NBC's Claudio Lavanga reports from Barcelona. 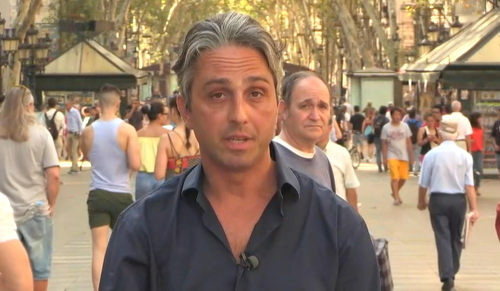 He says Las Ramblas, where a van rammed crowds of people yesterday, is now open. It is full of not only tourists but residents. I can see stalls are open, I can see people buying newspapers as they would do every day. Some people are laying flowers for the victims. Of course others are just tourists rolling their luggage to or from their destination. An incredible show of defiance. 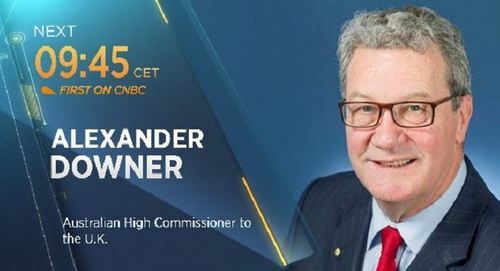 Alexander Downer, Australian High Commissioner to the United Kingdom, says four Australians have been hospitalized following the terror attack in Barcelona. Our foreign minister says one is missing as well. This of course is part of a pattern of terrorist attacks, so first and foremost we condemn it, but secondly cruel as these attacks are, cowardly as these attacks are, they are also futile, because what they won’t do is change people’s behavior. You can see from the pictures of central Barcelona this morning people back on the street going about their business again. The U.K. government is expected to release a further set of position papers on Brexit next week. These publications precede a keynote speech by Prime Minister Theresa May on Britain's departure from the EU which is due to be delivered next month. 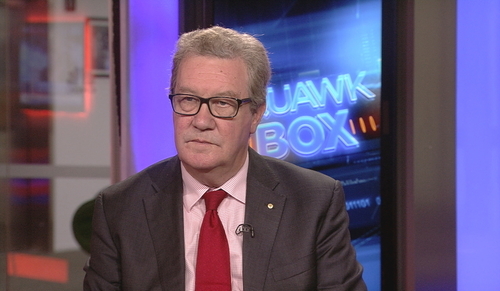 Meanwhile, Alexander Downer, Australian High Commissioner to the United Kingdom, says Britain is being too gloomy over the outlook for Brexit. He says there are two lessons from Australia’s experience through the 1970s. One, you need to go out to the rest of the world and build your relationships as best you can. That’s what we did. In Britain’s case they obviously need free trade with the EU but on top of that they need to build trading relationships with other countries around the world. Secondly, your strength is going to depend on your domestic economic policies. You need to keep your country attractive for investors. He also discussed the relationship between Australia and the U.K. There are more British-born people living in Australia than the whole of the EU. And there are more British-born people living in Australia than any other country in the world, other than the U.K. While stocks move lower on uncertainty arising from the terror attack in Spain, investors are shifting some allocation to gold. 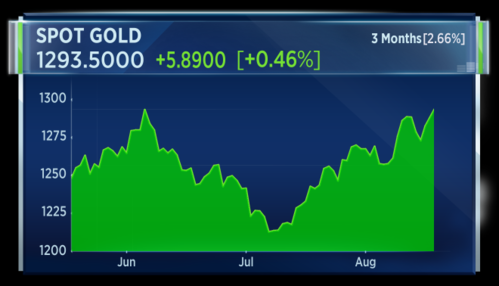 Gold is now passing its June high.